Dear Diary. I have been remiss. I know you will have noticed, my lack of dedication has been obvious, but know that my heart and soul are still yours. I hope, nay beg you to accept my sincerest apologies and know my deepest regrets, but you see Diary, I have just been dazed and confused by the world around me. Know that I have returned now though. When I last left you I was on the way to Boa Vista. I shall begin here. 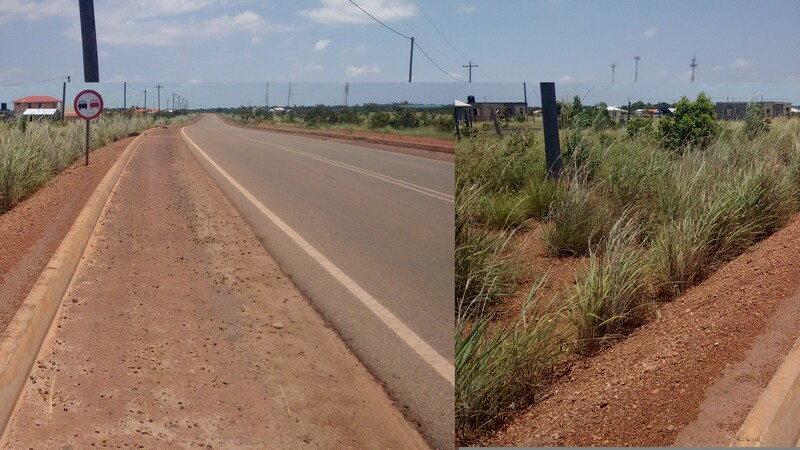 I actually got to the Brazilian side of the border quite early in the day, though it wasn’t without its difficulties. I woke at 3.30AM ready and raring to complete my packing for a 5AM departure. By ten to five I was outside, keen to avoid mosquitoes if at all possible, and proceeded to wait. This had been a common theme in Guyana (I advise those who travel here to take this into account) so I was not terribly perturbed. It was not till 8:30AM that I set off though. It seemed the driver who was supposed to pick me up was actually going the opposite direction. After a failed attempt to organise a car, I ended up on one of the minibuses I arrived on. The border is somewhere. I can only hope it is along this road. I spent little time in Lethem, the Guyanese border town, only pausing to decrypt the vague directions I received to the border. It was a stifling walk, and at the time of an unknown distance, but I reached Brazil safely after a surprisingly easy border crossing. I only had two problems. The first was the I had completely missed where to change my Guyanese dollars into Brazilian reais. The second was that it was a long walk to Bonfim, the Brazilian border town. A local Brazilian woman certainly thought it was a bit of an incredulous suggestion. The road had begun to look as if it would never end until I spotted at taxi and flagged it down. Extremely grateful that he accepted my Guyanese dollars, I opened my account in Portuguese by asking him to take me to an international cash machine. There was only one in Guyana, back in Georgetown, but I’d heard they existed in Bonfim. Unfortunately, the first place we found wasn’t working. The pleasant English speaking gentleman explained that the internet was down. Kindly, he gave me directions for another ATM, but explained that the shop would not be open till 2 o’clock. It was 12:45. Opting to wait there though, did not bring reward. Upon resumption of service, the shop keeper informed me that I could not pull out money there. Devastating! It would get worse before it got better though. At the bus station, I attempted to pay with my credit card, only for it to be declined. I asked if they would accept US dollars, but they would not. Last resort was my debit card, which I didn’t hold much hope about. A few painful seconds passed by before the machine flashed. Card accepted! Foreign charges be damned, I was on my way to Boa Vista! 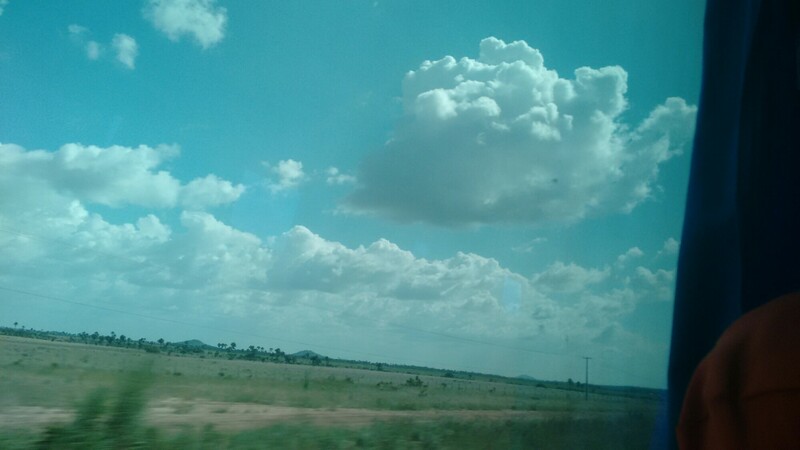 On the bus to Boa Vista. It’s a rubbish picture. Sue me. Quite frankly, the bus was a joy to travel on, after my Guyanese standards. As we pulled into Boa Vista, I rethought my plans and decided to go onto Manaus that evening. Boa Vista didn’t look terribly inviting, and I had only ever intended to spend one night there, so when I discovered the buses left in the evening (and my card was accepted – this time) it was an easy call. There was even time to find a cash machine that worked (on the sixth attempt) and grab some food! I was really pleased with myself at this point. Things had sort of gone swimmingly, and I would be in Manaus at 6AM. Having been without internet for a week I was hedging my bets on hostel availability, but I was optimistic. The good mood though, quickly turned sour. Illness that I thought I had escaped crept up on me. It was the travellers favourite, come to ruin my night. Instead of a restful sleep, I spent the night fighting relaxation and combating flatulation. It was a dire scenario, with only one toilet break in eleven hours. 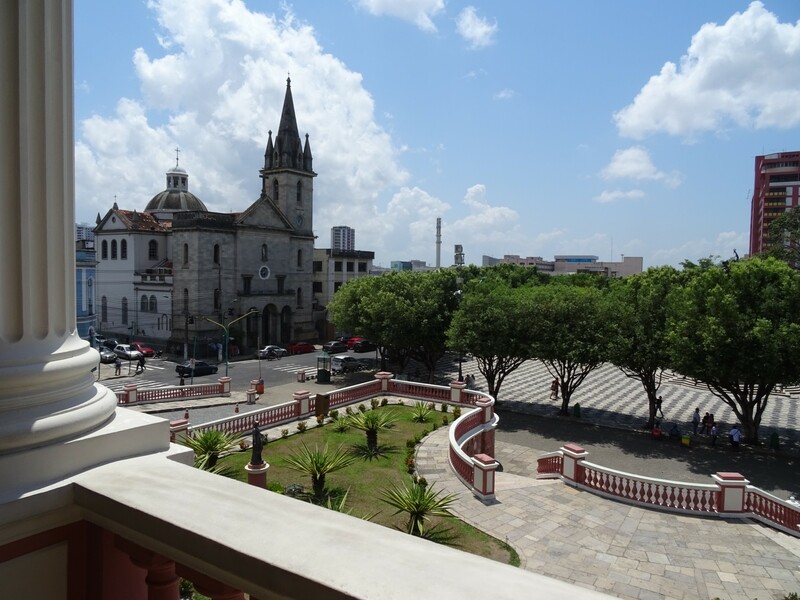 By the time I reached Manaus I was exhausted, opting for a taxi to the hostel in the hopes they would let me in. I would have begged. As it turned out, I didn’t need to beg. I turned up at Hostel Manaus (courtesy of the guidebook) at 6:30AM and the guys who work there are really friendly. Even though I couldn’t check into my room till 2 o’clock, I was allowed to hang around and have a shower, which was much appreciated. The hostel has a really nice atmosphere and, being ill, I spent most of the first couple of days in Manaus indoors. I’m pretty sure everyone in the hostel thought I was weird. This was after I got better again. That five minute journey would have been far too risky. 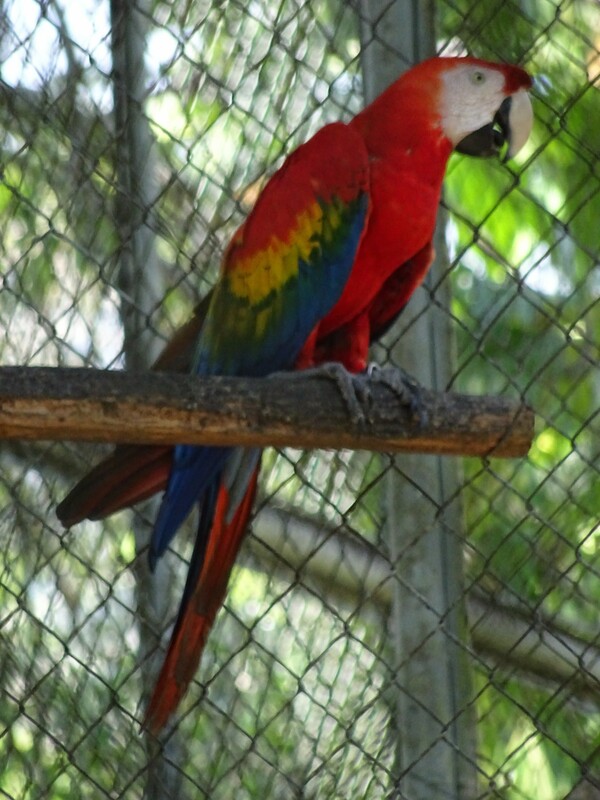 Eventually I started to gain enough confidence in my system to venture outdoors and visit the sights in Manaus, and after hearing so much about them in the hostel, see if I could book a jungle tour. 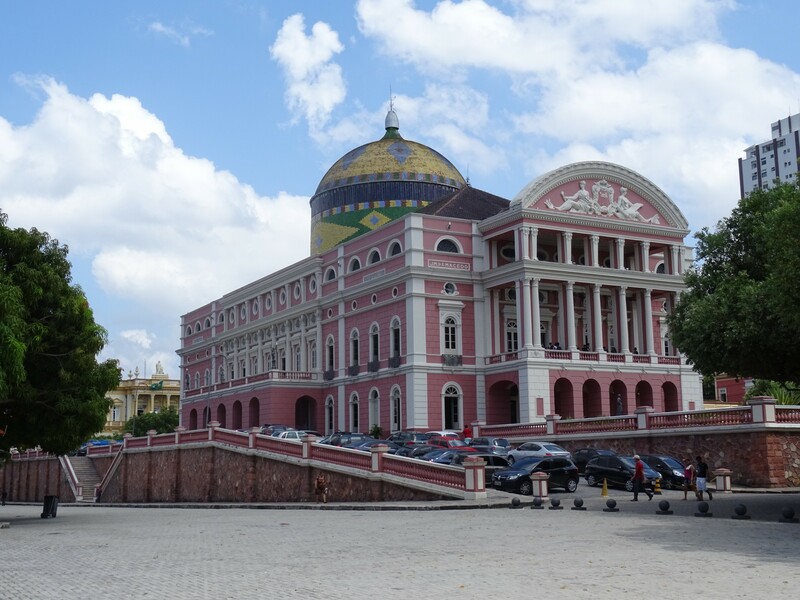 Despite not generally being hailed as the nicest city, looking around Manaus was really nice. It’s a calm city, with a relaxed aura about it. Despite being huge, the area from the Teatro d’Amazonas hub to the port is easily accessible on foot. The Teatro d’Amazonas itself is stunning. A small tour operates around the interior which is really informative regarding the origins of the theatre during the rubber boom. It really is the highlight in Manaus itself. What sets it apart though is that you can see shows there many evenings of the week, mostly for free. Can’t fault the choice of colour. One of my favourite things in Manaus was the sucos shops, essentially juice bars. 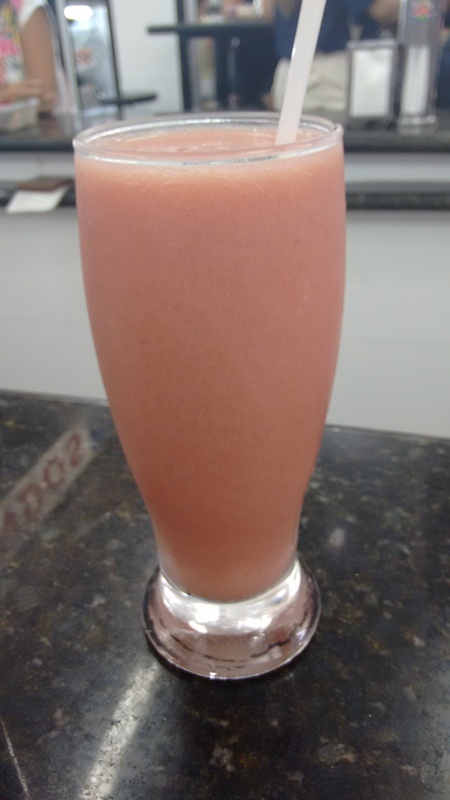 They serve delicious fresh juice in large glasses, and with the massive variety of Brazilian fruits that didn’t even have English translations it was great fun just picking one and seeing what it was like. Dedicated like no other, I went through most of them in my time there and just about all of them were hits. I’d stay away from Cupuacu and Jenipapo if I were you, though. I think just about everyone i have met since can attest to my addiction. It started here. The markets by the port were awesome too. Getting lunch there once, I found myself with what looked suspiciously like a plate of rice, without the expected fish. After checking it wasn’t mixed in, I enquired with the waiter. 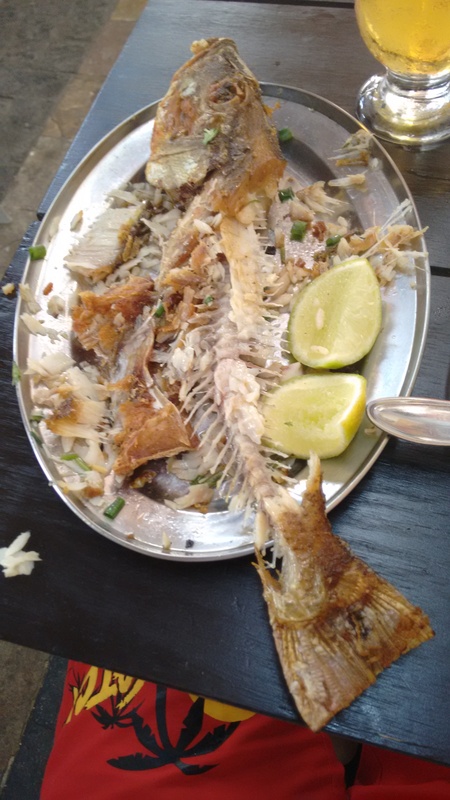 “Um minuto” was the reply, before bringing out a giant fish, complete with head, that took a plate of it’s own. At twelve reais, or four US dollars, it was a bargain. It was a bit more awkward when the money I had to pay for it mysteriously disappeared, but they allowed me to come back and pay it afterward. A mad dash around Manaus to get some money out meant I was a bit sweatier when I arrived back again, 40 minutes later. Good fish. Should have been a steal at twelve reais. Unfortunately it wasn’t. One of the major differences to being in Guyana was that I started to meet other travellers too. A French girl whose English was not much better than my French, a couple of Danish girls who had come from Venezuela (and been bitten to death by sandflies) and David and Hirt, two Dutch speaking Belgians on their way to Fortaleza. David had previously lived in Brazil for three years, so spoke Portuguese fluently, and they helped me translate some of the things that were not in my phrasebook, like all the fruit juices I was drinking. Best of all though, they both had loads of hilarious stories from their time working as dredgers, whether in Nicaragua, Nigeria or Turkmenistan. 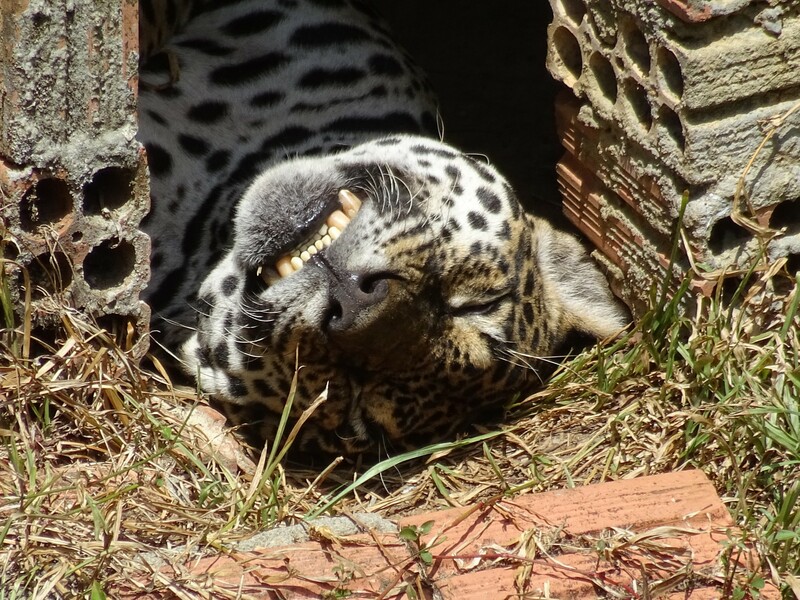 In addition to hanging about with them at the hostel, I latched onto a trip to the military run zoo (an unexpected combination, I know) in Manaus, CIGS, that they were taking one day. This was great, even if not quite the same as seeing the animals in the wild. You wouldn’t necessarily see them on a trip into the jungle anyway! Over the course of the few days that they were in Manaus, David and Hirt became really good friends, so when they and the other people I had made friends with began their respective boat trips on the Amazon, all in different directions, I was sad to see them leave. This though, gave me a greater push to finalise my jungle trip booking. 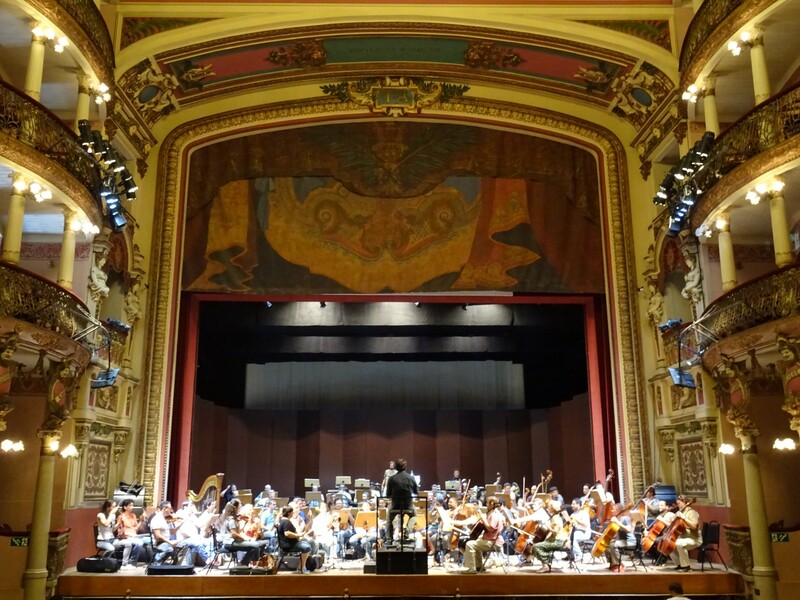 There was time for one last event before I left; to see an orchestra at the Teatro d’Amazonas. While the concert itself had a weirdly experimental part in the middle, it is a lovely theatre and well worth going to see something, if only to see what it is like. An interesting, and somewhat different, choice of dinner by a French guy on his way to Santarem the next morning concluded the night. Tacaca was a spicy soup like dish, containing shimp, grease lining and some sort of anaesthetic plant. From here though, it was off to the jungle. Free i say! Why wouldn’t you go? Border Crossing, City Exploration, Illness, Money Issues, September 2015, Tasty Food, The Amazon. Bookmark.